It is especially exciting when newly discovered material is made available on the Old West; but the well-written letters of Eben Olcott also reveal a very different side of the rough and rowdy mining frontier that dominated Colorado in the 1880s. 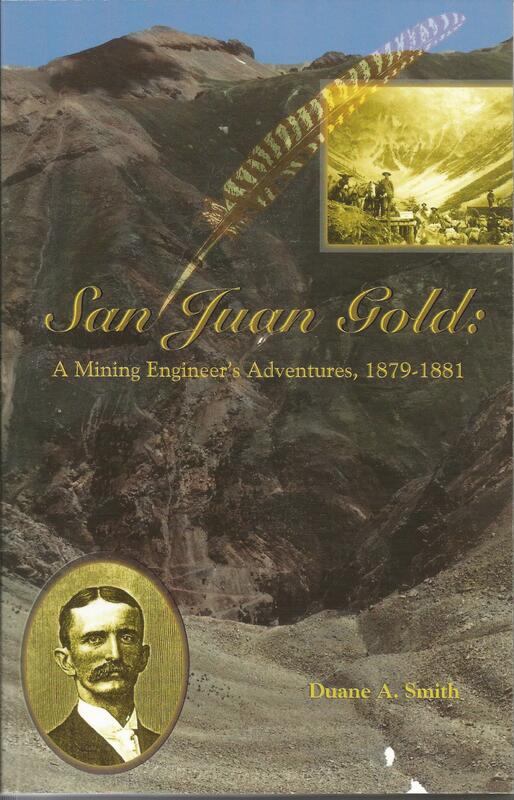 San Juan Gold illuminates the details of daily life during that age from the perspective of an educated, successful mining engineer. Olcott's adventures are amplified by the observations of well-known Colorado historian Duane Smith, who does a masterful job of helping us to understand the historical context within which Olcott is working. Olcott traveled through out the West as a mining engineer, but Duane Smith has focused on his letters that deal with the nineteenth century Colorado mining industry as a whole with special emphasis on the mines of the San Juan Mountains. Unlike the traditional stereotype of nineteenth century mining, the reader will find Olcott's love of nature and the environment to be especially interesting.